This is a 10-week series where you watch a video, share a meal and explore the meaning of life! This course introduces the catechist to the concept and nature of “sacrament” in general and then each of the seven sacraments of the Church: Baptism, Confirmation, Eucharist, Matrimony, Holy Orders, Reconciliation, and Anointing of the Sick. The course will explore the fundamentals of each sacrament’s doctrine, theology and effects. The nature of the liturgy will also be treated. Who can register? Parish catechists, catholic schools' teachers, private schools' catechists or teachers who are seeking to obtain catechist certification. This course will introduce the catechist to the Church’s rich tradition of writings dedicated to the seven themes of Catholic Social Teaching. Who can register? Parish catechists, Catholic schools' teachers, private schools' catechists or teachers who are seeking to obtain renewal of their catechist certification. This course will lead the learner to an understanding of the Creed as the core theological source of catechesis. It will examine the development and the Church's understanding of the nature of God (Father, Son and Holy Spirit) as well as other important concepts of the Catholic Faith. Who can register? Parish catechists and schools' teachers who are seeking to obtain their initial catechist certification. St. Kevin Catholic Church is inviting all school staff, parishioners and families to attend a "Respect Life Seminar" which will take place at the parish hall on Saturday, May 11, from 9 a.m. until 1 p.m. Please try to attend to be informed and learn what we as Christians can do to preserve the life of the unborn and the Respect Life Ministry. For more information please contact Jose and Diana Espinal at 786-302-3349. The Archdiocese of Miami will be hosting the second Florida Statewide Stewardship Day, Saturday, May 4, from 8 a.m. to 5 p.m. at the Hilton Miami Downtown, 1601 Biscayne Blvd., Miami. The theme of this year's conference is: Engaging the Family through the Four Pillars of Stewardship. This conference is a collective effort of the stewardship/development staff of all seven dioceses of the Province of Miami. Julianna Stanz, director of Discipleship and Leadership Development for the Diocese of Green Bay, and consultant to the US bishops Committee on Catechesis and Evangelization. Father Leo Patalinghug, founder, host and director of Plating Grace, an international apostolate strengthening families and relationships through God's gift of a family meal. He will cook onstage as he does on his TV show. 12 breakout sessions with speakers including Gus Lloyd, host of "Seize the Day," and Joel Stepanek from "Life Teen." Concelebrated Mass with Archbishop Thomas Wenski, the bishops of the Miami Province, and priests in attendance. 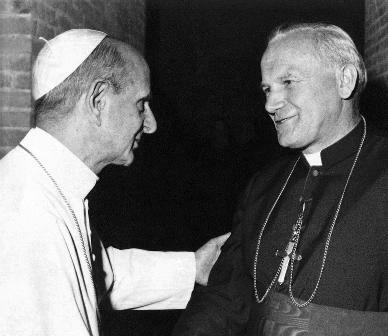 El Instituto Jesuita Pedro Arrupe, en colaboración con el ministerio New Beginnings de la parroquia Santa Catalina de Siena, está presentando una serie de talleres sobre el tema Los Documentos del Concilio Vaticano II y del Papa Francisco: Los Signos de los Tiempos y el Mundo de Hoy. Las presentaciones serán hechas en español y en inglés, en dos salones adyacentes a la misma hora. El quinto taller será presentado en Our Lady of Guadalupe, 11691 N.W. 25 St., Doral, el 25 de mayo de 9:45 a.m. a 12:30 p.m. Tema: La Familia Cristiana en los Documentos del Concilio Vaticano II. Please join us for a prayerful discussion of the momentous and prophetic Encyclical, "Humanae Vitae" (Of Human Life) of Pope St. Paul VI and how Pope St. John Paul II beautifully and powerfully affirmed its enduring truth in his writings, spirituality and papacy. "Humanae Vitae," published in 1968, re-affirmed the orthodox teaching of the Catholic Church regarding married love, responsible parenthood, and the rejection of artificial contraception. Met with great controversy and opposition by many in and outside the Church, it nevertheless emerged victorious and boldly set forth clearly the enduring truth of the Church's moral teaching on the sanctity of life and the procreative and unitive nature of conjugal married love. These themes were central to St. John Paul II's teachings during his time as archbishop and professor in Poland and throughout his papacy. St. John Paul the Great became one of the Church's most eloquent and powerful defenders of the sanctity of life and the sacredness of married sexual love as witnessed in his philosophical and theological writings, primarily "Love and Responsibility" and "Theology of the Body." Please join us in our reading and discussion of "Humanae Vitae" 50 years later, St. John Paul II, and its critical importance today. May 7, 7:30 p.m., Parish Hall, Good Shepherd Catholic Church. Sponsored by the Community of St. John Paul II. El próximo taller será presentado en Our Lady of Guadalupe, 11691 N.W. 25 St., Doral, el 25 de mayo, de 9:45 a.m. a 12:30 p.m. Tema: La Familia Cristiana en los Documentos del Concilio Vaticano II. Learn ...about yourself, your mission, your feminine genius, The Mass, prayer, forgiveness, Mary & more. Come experience what this wonderful program has to offer you through the acclaimed study “Full of Grace” by EWTN TV host and speaker, Johnnette Benkovic. For women 18+. Young Women of Grace -girls 13-18 years: Laura Patron, Catholic counselor 305-613-6710. Women of Grace Coordinator: Gail Coniglio 954-740-3261. Mujeres de Gracia coordinadora: Sandra Gomez 954-668 1094.